Edith Magnusson’s rhubarb pies are famous in the Twin Cities–they were named the third-best in the state of Minnesota and St. Anthony-Waterside Nursing Home has quickly becomes the hottest dinner ticket in town. Still, she lays awake wondering how her life might have been different if her father hadn’t left their family farm to her sister Helen, a decision that split their family in two. With the proceeds from the farm, her sister, Helen Blotz, built her husband Orval’s family soda business into the top selling brewery in Minnesota. She singlehandedly created the light beer revolution and made their corporate motto ubiquitous: “Drink lots, it’s Blotz.” But Helen dismisses IPAs as a fad, and the Blotz fortune begins its inevitable decline. Soon, though, she finds a potential savior that’s surprisingly close to home. . .
Diana Winter earns a shot at learning the beer business from the ground up just as the IPA revolution begins. The stakes couldn’t be higher: just as she’s launching her own brewpub, she’s due to deliver a baby girl. When the unthinkable happens, it’s up to Grandma Edith–and a delightfully surprising cadre of grandmother friends–to secure the next generation’s chances for a better future. Can Grandma Edith’s Rhubarb Pie In A Bottle Ale save Diana’s fledgling brewery, and change their hearts and fortunes forever? 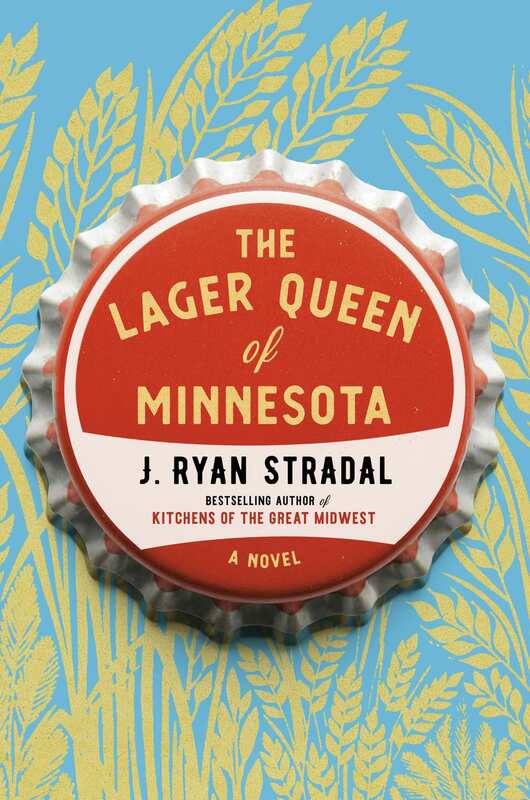 The Lager Queen of Minnesota serves up a cast of lovable, quintessentially Midwestern characters eager to make their mark in a world that’s often stacked against them. In this deeply affecting, humorous, emotional family saga, resolution can take generations, but when it finally comes, we’re surprised, moved, and delighted.